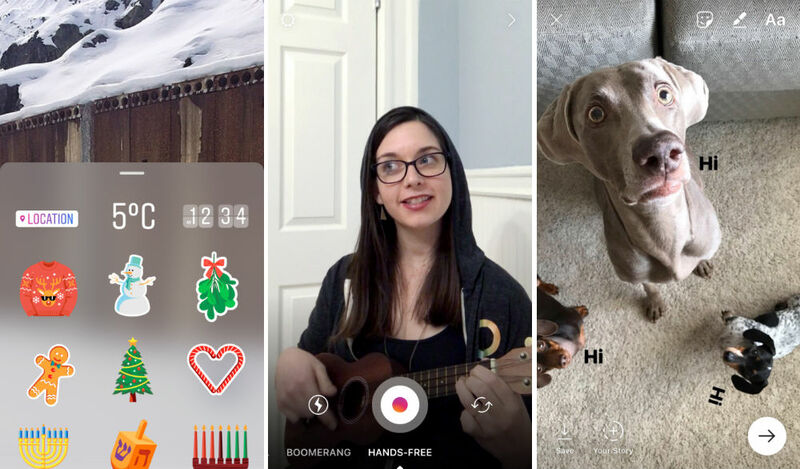 Instagram introduced more tools for storytellers this week, adding in stickers, a Hands-Free shooting mode, and much more for the Stories portion of Instagram. For stickers, once a video or photo is taken, access to a massive library of stickers is available, complete with a few holiday-themed stickers. For example, you will find a gingerbread man, snowman, or even a sticker that indicates what the current temperature is à la Snapchat. For those watching a video or looking at a photo with a sticker attached, the viewer can tap on the sticker and learn more about the location where the filming took place. In addition, a Hands-Free mode is now available, perfect for those who don’t have a free hand when filming a clip. If you have a guitar part you want to share or are testing out a yoga pose for your story, simply switch to Hands-Free mode. Head on over to Google Play and see if the update is available for you.